The scheme will include five new marinas, up to 200 “water homes” and more than 100 shops, beach clubs and floating restaurants. Work on Marasi Business Bay has already started, with a contractor building a six metre-wide stretch of promenade along the 12-kilometre route that will house three areas known as The Yacht Club, The Park and The Pier. Initial work on the promenade is due to be completed in September. It will then be widened to 15 metres to allow for the addition of retail units and restaurants. It will be based along a stretch of the existing Business Bay canal between Al Khail Road and Sheikh Zayed Road. In total, the scheme’s five marinas will have a capacity to house 1,250 boats and will also feature floating restaurants, where individuals can hire a chef and take their own restaurant on to the water. 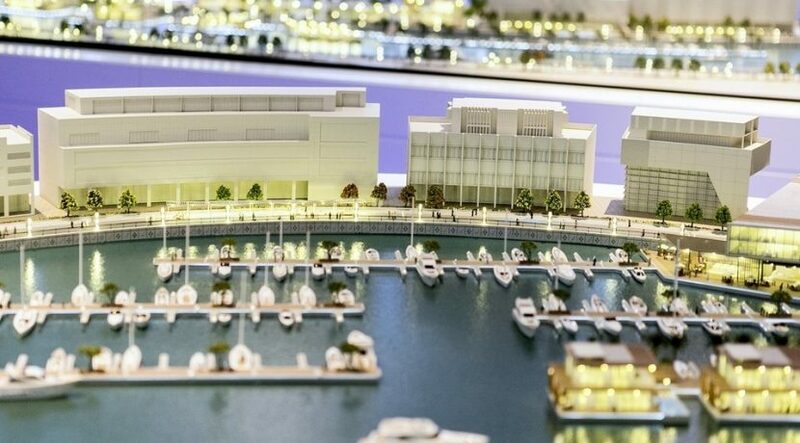 Fadel Al Ali, the chief executive of Dubai Properties’ parent company, Dubai Holding, said the project would be developed over a five to seven-year period and will have between 150 and 200 water homes, which are not floating homes but will be permanently secured to the canal basin. These have been designed by U+A Architects and will be two and three-bedroom homes, with a minimum size of 1,500 square feet. Mr Al Ali declined to say how much these units would sell for, but said they would be at the high end of the market. He said the entire project would be self-financed by Dubai Properties, which currently has Dh5bn worth of projects under construction and a further Dh10bn in ventures in the pipeline. He expected these to be developed over the next seven years. Dubai Properties’ current portfolio includes 35,000 homes. About 15,000 of these have been sold, and another 15,000 are in its rental portfolio, with the remaining 5,000 being specialist units such as workers’ accommodation. Naaman Atallah, the chief executive of Dubai Properties’ development arm, said Marasi Business Bay will have 250,000 sq metres of parks and open spaces. A bridge will also connect the site to Dubai Properties’ Bay Square development. 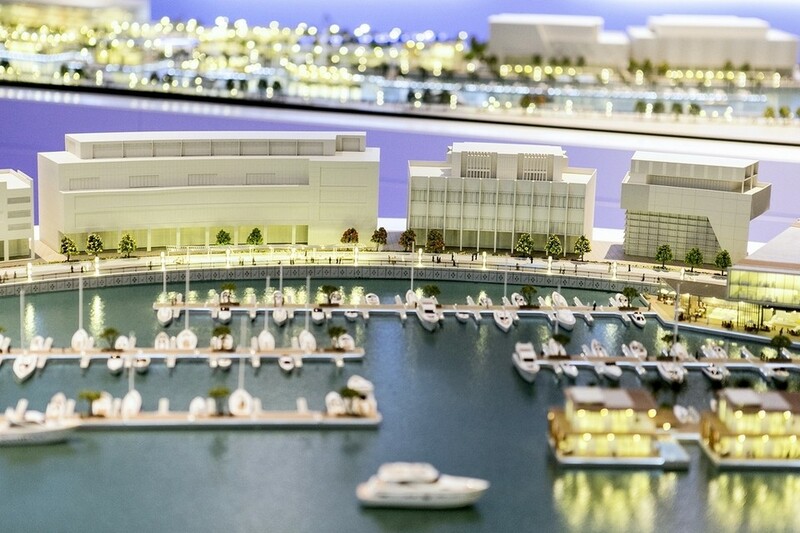 Mr Atallah said the project was “unique because it’s not a seafront destination – it’s downtown”. “It creates something that has not been done before in this region. You can just walk down from your office, jump on your boat, get on the canal and hop from place-to-place,” he said. Other developments currently taking place along the banks of the soon-to-be extended Dubai Canal include the Dh11bn Habtoor City complex and Damac’s Dh7.7bn six-tower Aykon City scheme, which launched in February this year. The canal is being built in three concurrent phases and will add 3km of waterway between Business Bay and the Arabian Sea, crossing from the borders of Al Safa Park, over Satwa Road and Jumeirah Beach Road. The project is expected to be completed next year.